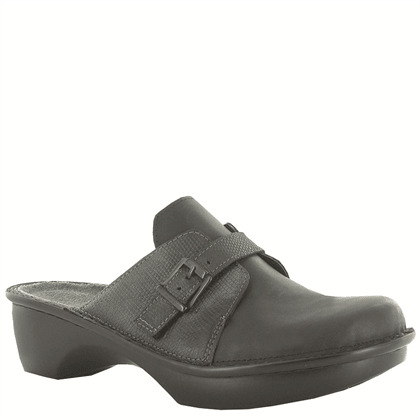 The Avignon is a great everyday clog with a faux buckle hook & loop strap at the instep for adjustability. The Avignon has a padded tongue for extra comfort & contrasting leathers for a unique look. This style has padded technical lining for comfort, warmth & moisture absorption. Naot's removable, anatomic cork & latex footbed is wrapped in pampering suede and molds to the foot with wear. The Cosmopolitan Collection features a 2" polyurethane sole with a metal shank and is extremely lightweight and durable. Medium fit.